Finance that gets you moving. If you’re running a building company, equipment hire business, warehousing or manufacturing facility, you know the importance of efficient materials handling and access equipment. At Fidelity Finance Group, we’ve gained a wealth of knowledge from clients across a range of equipment. Fidelity Finance Group can organise hassle-free business finance and rental packages on not just new equipment, but used as well. So when you need action, we’ll come and see you, get to know your operation to come up with a practical solution. Whether you just need a single forklift or a complete turn-key solution for a fleet of brand new machines, talk to us. Fidelity Finance Group offers personalised service to efficiently handle the entire business equipment loan process, from application to delivery of the equipment. Compared with dealing with the banks, we’re sure you’ll find Fidelity Finance Group a breath of fresh air. Benefit from our financial muscle. With over $350 million in loans written annually, we have the leverage to deliver competitive equipment finance solutions. Fidelity Finance Group can source business finance from over 20 lenders, so we can spread your business loan commitments across several lenders. Receive dedicated personalised service from a knowledgeable equipment finance specialist. Fidelity Finance Group can also arrange Import/Trade finance (i.e. Letters of Credit) as a part of the long term finance as required. We pay the supplier, you take delivery of the equipment, it can be as easy as that. We can also arrange 'pre-approved' amounts for future requirements. 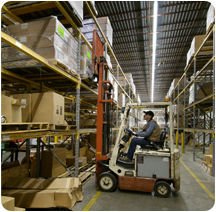 Complete an access equipment and forklift finance application now, without obligation, click here. Or phone +61 (2) 9212 0799 to talk with one of our equipment finance experts.